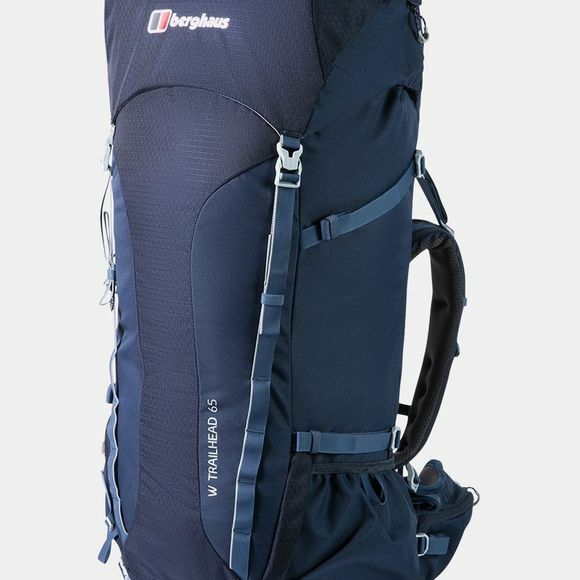 The Trailhead 60 Rucksack from Berghaus is packed full of technology and features, making it ideal for multiday adventures. Simplicity and comfort are key here, the Trailhead pack features a BIOFIT backsystem making it easy to adjust the back length on the move. In addition, pre-curved hip belt and adjustable top tension straps provide the perfect, most comfortable fit. The large 60 litre capacity and useful features make this an ideal companion for multiday backpacking adventures. Organise your belongings with the base compartment bivy divider, walking pole attachment points, side pockets, top lid pockets, bottle pockets and multiple attachment points. The rucksack also include an easy reach raincover in florescet colour - ideal for low visability conditions. 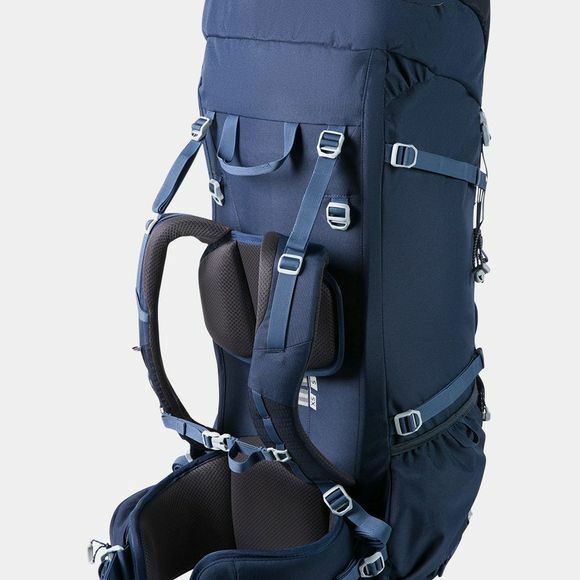 And to keep you hydrated on the way, this rucksack is hydration system compatible.